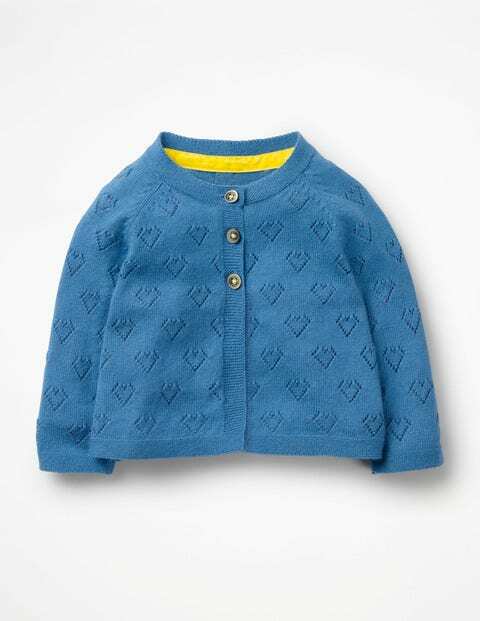 There's no need for a special occasion to layer up with this lovely cardigan: any excuse will do. Made from a soft cashmere blend, it's lightweight enough whatever the occasion. The delicate pointelle heart design and velvet trim inside the neck add extra-special touches. And perhaps the best bit? All this luxury is machine washable.